The World Series Of Poker has crowned a new champion, and another pro has taken it down, according to the Associated Press. Martin Jacobson won a whopping $US10 million Tuesday night at The Rio in Las Vegas. He’s 27-years-old, and got his start in the online poker scene. 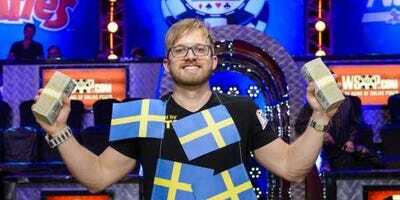 It was his first appearance in the so-called “November Nine” which is the final table of the enormous tournament with a huge $US10,000 buy-in. 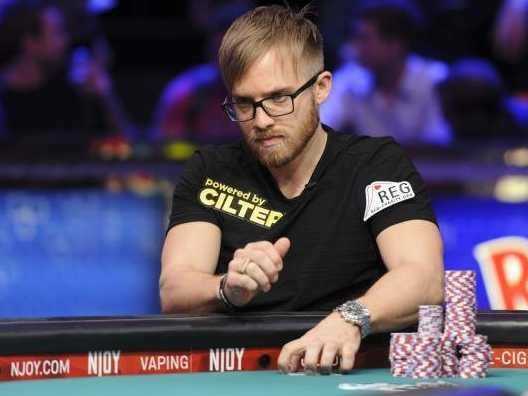 It was a comeback effort, Jacobson entered the final table in eighth place out of nine in chips. Once we got to the top three players all Americans were eliminated. According to WSOP.com this is the first time that’s ever happened in the history of the tournament.
. In heartbreaking fashion, Jacobson flopped a set of 10’s in that spot and took down the biggest prize in poker.